Goal: Simplified Structures, lower weight, multi-functionality, reduced overall cost. 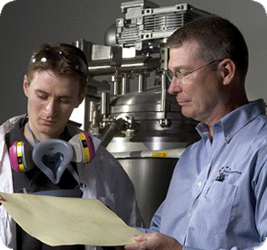 NanoSperse works closely with customers and their supply chain partners from conception to production. 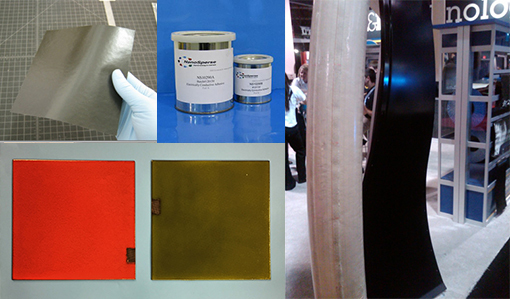 For the past ten years NanoSperse has designed over 1000 new materials for aerospace and space customers. Products include modified resin systems, adhesives, coatings, co-cured surfaces, tooling materials, structural fillers and molding compounds; all designed to deliver value to our customers. Our design process is simple, customer focused, yielding rapid turnaround for proof-of-concept materials at a low cost. Customers have come to think of NanoSperse as an important tool in their tool box that can be deployed to leverage materials science in new ways within their businesses. Customer engineering requirements and manufacturing process improvement initiatives drive NanoSperse design criteria. We work closely as part of the customer’s team to perform specific tasks and drive to proof-of-concept as efficiently as possible. Results of each design effort should be actionable for the customer to make intelligent business decisions around maturing the materials design concept or moving on. Once a proof-of-concept has been validated, NanoSperse continues to work with customers through the iterative development, optimization and qualification processes and eventually to full scale production.